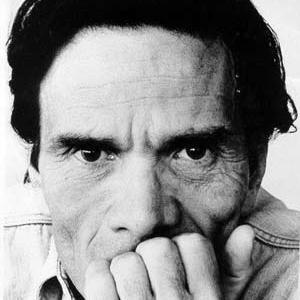 What follows is a translation of the column that Pier Paolo Pasolini published on 14 November 1974 in the Italian newspaper Il Corriere della Sera. It is amongst the most quoted and debated opinion pieces in the history of Italian journalism and yet, in spite of Pasolini’s enduring appreciation in the English-speaking world, it has been historically a difficult text to source in translation. I thought that attempting to remedy this situation would be a good place to begin, also in that it implicitly offers the opportunity to reflect on the issue of relevance, of what is more likely to be politically useful, or timely, or appealing to readers; as well as to set some initial expectations about this space and help me to figure out what might be the best use for it. I used the original heading of Pasolini’s column in the title of this post but the piece is known simply as Io so, ‘I know’: two words that have come to stand for the most lucidly formulated demand for truth in the midst of the bloody Italian Seventies, the decade of the strategy of tension and the years of lead, of stirrings and revolt, of terrorism and state terrorism. Because of its historical specificity and of the complexity of those years, this is a text that might seem inaccessible to the readers who lack at least a cursory knowledge of that context. There is of course no easy solution to this. You could read the page on the ‘strategy of tension’ on Wikipedia, or read about the history of the Italian Communist Party and discover that in 1974 it had over one and a half million members and commanded about ten times as many votes. But a list of facts and numbers won’t give you the texture of those years, a sense of how those events and those political movements shaped Italian society and how profoundly they affected each of us. I attempted in this essay to tell that kind of story about the event that sealed the conclusion of that period in Italian history – the devastating bombing of the Bologna train station in August of 1980. Pasolini himself did not live to see it and write about it. He was murdered on 1 November 1975, less than a year after writing Io so. However the paradox of this piece is that possessing any knowledge of the history whose truth it demands that we seek is ultimately not a requirement for reading it, for Io so is about the role of the intellectual, about the exercise of state power, about mass political mobilisation, about secrecy and conspiracy. For these reasons it remains as relevant and urgent now as it was back then. I know the names of those responsible for what has been called a ‘coup d’état’ (but is in reality a series of ‘coups’ instituted for the preservation of power). I know the names of those responsible for the Milan massacre of 12 December 1969. I know the names of those responsible for the Brescia and Bologna massacres of the early months of 1974. I know the names of the ‘leadership’ that manipulated both the old fascists who devised the ‘coups’, and the neo-fascists who materially executed the early massacres, as well as the ‘unknown’ perpetrators of the most recent massacres. I know the name of the people who managed the two different, in fact opposite stages of the tension: the first, anticommunist stage (Milan 1969) and the second, antifascist stage (Brescia and Bologna 1974). I know the names of the powerful figures who, with the help of the CIA (and in a secondary role of the Greek Colonels and of the Mafia) first created an anti-communist crusade, which failed miserably, in order to plug the dam of ‘68, and subsequently, still with the aid and the inspiration of the CIA, took on a new antifascist identity in order to remedy the disaster of the ‘referendum’. I know the names of those who, in between Holy Masses, provided and ensured political protection to the old generals (in order to maintain, as a backup, the organization for a possible coup d’état), young neofascists, or rather neonazis (in order to create a concrete anti-communist tension) and finally common criminals, who until now have been nameless and possibly shall be forever (in order to create the following anti-fascist tension). I know the names of the sober and important people who lurk behind comical characters such as that general of the forest rangers who worked, farcically, at Città Ducale (while the Italian woods burned), or behind grey characters with a purely organisational role such as general Miceli. I know the names of the sober and important people who lurk behind the tragic youths who chose the suicidal fascist atrocities or the common criminals, Sicilian and otherwise, who offered their services as killers and assassins. I know all of these names and I know all of the facts (attempts against the institutions and massacres) for which they have been responsible. I know. But I don’t have any evidence. I don’t even have clues. I know because I’m an intellectual, a writer who tries to follow everything that happens, to imagine everything that is unknown or unspoken; who connects facts that may seem disparate, that puts together the disorganised and fragmentary pieces of an entire coherent political picture, who restores logic where arbitrariness, folly and mystery seem to rule. This is all part of my craft and of the instinct of my craft. I believe it is unlikely that my ‘novel in progress’ may be wrong, that is to say that it may be disconnected from reality, and that its references to real persons and facts may be inaccurate. Furthermore I believe that many other intellectuals and novelists know what I know as an intellectual and novelist. Because restoring the truth of what has happened in Italy after 1968 is not that difficult. This truth – we feel it with absolute precision – lies behind a great number of texts, including those written by journalists and politicians: that is to say not products of imagination or fiction, as mine must be by its own nature. The latest example: it is clear that truth was barging in, with all of its names, behind the Corriere della Sera editorial of 1 November 1974. Journalists and politicians probably have some evidence, or at least some clues. Now the problem is this: journalists and politicians, whilst having perhaps some evidence and certainly some clues, are not naming names. Who is it up to, then, to name those names? Clearly to those who not only have the courage required, but also have not had to make compromises with power, and also do not have, by definition, anything to lose: that is to say, intellectuals. An intellectual therefore could easily name those names in public: but he neither has the evidence nor the clues. Power, and the world that, even though it does not belong to power, holds concrete relationships with power, has excluded free intellectuals – because of its inherent nature – from the possibility of gathering evidence and clues. It could be objected to me that I, for example, as an intellectual and maker of stories, could enter that explicitly political world (of power or close to power), make compromises with it, and thus gain to the right to obtain, in some likelihood, evidence and clues. But to this objection I would respond that this is not possible, precisely because it is the loathing to enter into such a political world that identifies my potential intellectual power to speak the truth: that is to say, to name names. The intellectual courage to speak the truth and the practice of politics are incompatible in Italy. To the intellectual – who is profoundly and viscerally despised by the entire Italian bourgeoisie – we give a falsely lofty and noble mandate, which is actually servile: that of debating moral and ideological problems. If he is given this mandate, the intellectual is regarded as a traitor to his role: and the cries go out – ‘betrayal of the clerics’ – which is an alibi and a justification for the politicians and servants of power. But there isn’t just power: there is also an opposition to power. In Italy this opposition is so large and so strong that it is a power in itself: I am referring naturally to the Italian Communist Party. It is certain that at this moment the presence of a great opposition party such as the Italian Communist Party is the salvation of Italy and of its wretched democratic institutions. The Italian Communist Party is a clean country in a dirty country, a honest country in a dishonest country, an intelligent country in a foolish country, an educated country in an ignorant country, a humanistic country in a consumerist country. In the last few years, between the Italian Communist Party – understood in a genuinely unitary sense as a compact ‘whole’ of leaders, base and voters – and the rest of Italy, a chasm has opened up: so that the Italian Communist Party has become a ‘country apart’, an island. And it is precisely for this reason that nowadays it can have its closest relationship ever with the corrupt, inept, degraded real power: but it is merely a diplomatic relationship, as if between two different nations. As a matter of fact their respective morals, understood as concrete wholes, are incompatible. It is on this basis that it is possible to put forward that realistic ‘compromise’ that might save Italy from a complete collapse: however this ‘compromise’ would be really an ‘alliance’ between two neighbouring states, or between two states that are locked one inside the other. But all the positive things that I have said about the Communist Party also constitute its relatively negative aspects. The split of the country into two countries, one sinking up to its neck in degradation and degeneration, the other intact and not compromised, cannot be a reason for peace and constructiveness. Moreover, if it is understood as I have outlined it here, I think objectively, as a country within a country, the opposition identifies with another power, which remains a power. Consequently the politicians of such an opposition cannot but behave themselves as men of power. In this particular instance that currently concerns us so dramatically, they also gave to the intellectual a mandate that they themselves established. And, if the intellectual fails to fulfil this mandate – which is purely moral and ideological – he becomes, to everyone’s great delight, a traitor. Now, why do the politicians from the opposition, if they have – as they probably do – evidence or at least clues, not name the names of the real culprits, that is to say the political culprits, of the comical coups and the horrendous massacres of these past years? The answer is very simple: they do not name them to the extent that they make a distinction – rejected by the intellectual – between political truth and political practice. Therefore, naturally, they do not reveal evidence and clues to the intellectual who is not an official: they would not dream of it, as is in any case perfectly normal, given the objective state of affairs. The intellectual must continue to stick to the duty that has been assigned to him, and iterate his codified mode of intervention. I know very well that this is not the time – at this particular moment of Italian history – to publicly present a motion of no-confidence against the nation’s entire political class. It would be neither diplomatic nor timely. But these are categories of politics, not of political truth: which is what the powerless intellectual – whenever and to the extent that he can – is compelled to serve. Well then, precisely because I cannot name the names of those responsible for the attempted coups and the massacres (but not in lieu of doing that), I cannot but level my weak and ideal accusation against the entire Italian political class. And I act because I believe in politics, I believe in the ‘formal’ principles of democracy, I believe in Parliament and I believe in political parties. All this naturally through my particular viewpoint, which is that of a communist. I am ready to withdraw my motion of no-confidence (in fact I would like nothing better) as soon as a politician – not out of political calculation, that is to say not when the time has come to do it, but rather to create the conditions for that time to come – will decide to name the people responsible for the coups and the massacres, for which he well knows, as I do, that he must have some evidence, or at least some clues. In all likelihood – if the American power will allow it – perhaps making the ‘diplomatic’ decision to grant another democracy the prerogative that the American democracy granted itself concerning Nixon – these names sooner or later will be named. But those who will do the naming will be people who shared power with them, as minor culprits against major culprits (and they may not turn out to be, as in America’s case, to be any better). This ultimately would be the real coup d’état. That is an amazing document. Great to read and reminisce, and very Pasolini: as challenging as his famous 60s Student Riots poem, “From the Pci to the Youth” – where Pasolini, although against “the institution of the police”, surprised most by siding with the police (twenty year old sons of the poor – on the wrong side) against the students (twenty year old sons and daughters of the rich – on the right side), reading a skirmish between the two as class warfare. 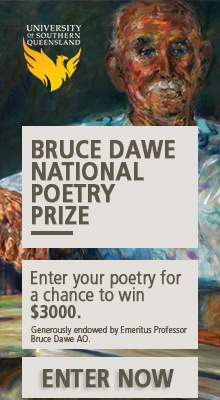 Perhaps you might translate that poem some time? Must get out my Pasolini literature and films again. Thank you Dennis. I took the liberty of suggesting to Evan Calder Williams that he might want to translate Il PCI ai giovani to go with the work he’s doing at The Noonday Shadow. If he doesn’t I might just have to take matters into my own hands. Daunting, though, it’s such a difficult text, also politically. Last year City Lights published this piece in the collection ‘In Danger’ translated by Jack Hirschman. The volume culminates with the interview conducted hours before Pasolini was murdered. Thanks for reminding me of all of this. A future volume might be a collection of his op-eds, didn’t he have a column on the front page of one of the dailies? Yes, and Io so is one of them. Il Corriere della Sera, which operates out of Milan and is traditionally associated with the northern bourgeoisie, was at the time our newspaper with the highest circulation (around half a million daily copies sold, that is to say twice as many as communist party organ L’unità). Under the directorship of Piero Ottone it had taken a decidedly leftward shift, of which the most visible sign was the hiring of Pasolini and the firing of arch-conservative fiend Indro Montanelli. The kind of writing that Pasolini was allowed to do for Il Corriere remains nonetheless extraordinary, as is the fact that Pasolini chose that forum instead of one of many left-wing newspapers and weekly magazines at his disposal. as you well know, it’s very important that we have an online shareable translation of this, particularly one as good as this is. As for Il PCI ai giovani, as it also is included in the City Lights anthology, it’s not the top of my pile, although I don’t have the Hirschman trans in front of me and hence can’t gauge how good it is. I remember thinking it seemed pretty solid. For the moment, my translation energies are going toward the fully untouched, i.e. politico docs from ’73-74, from Rosso and others. I really enjoyed your translation of What the Hell is the Family, and it’s another one of those timely/untimely texts that needs to be shareable. Perhaps you could consider reopening Socialism and/or Barbarism for a handier link than the one on Facebook? Even public texts require a login there. With Il PCI ai giovani I was more thinking of a dialogue than a translation in your case. I might attempt a translation here when I’m back from Italy next month.